By now you may know I’m a big accessories fan. At the moment I’m really into statement necklaces. I’ve shown you quite a few designer ones, but now I’m bringing you a great one I found on the high street. It’s from Oasis and for £35 it’s a bargain worth every penny. 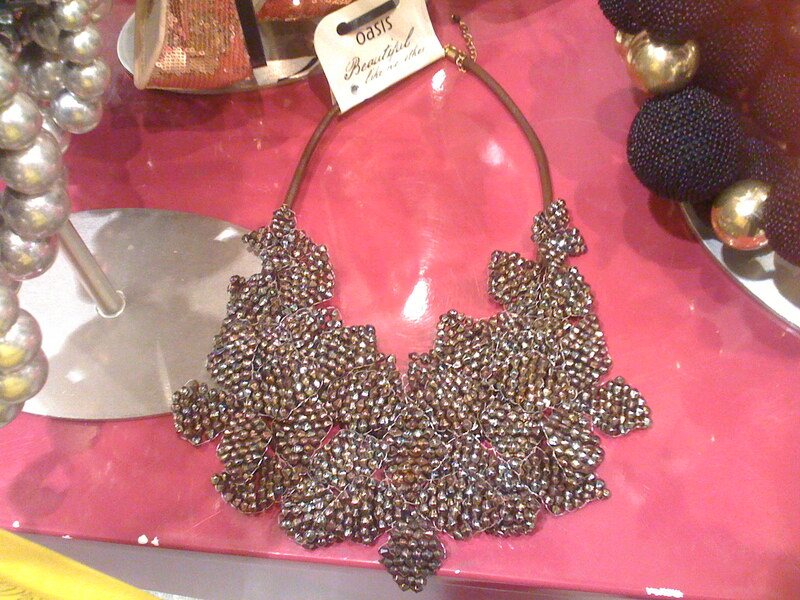 Statement necklaces are an easy way how to update your outfit, looking great with plain tees and a pair of jeggins. Add flats during the day and heels in the evening and you’re sorted.